Up until May of 2011, the most famous person to come out of meek Co. Offaly was Patrick Kavanagh, but the poet was ceremoniously trumped by U.S. President Barack Obama, who visited his ancestral home, single-handedly put the nearly non-existent village of Moneygall on the map. 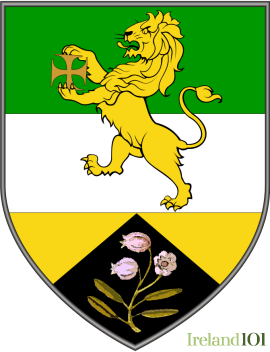 Being the largest county in the Midlands is about the only superlative title Offaly can claim, aside perhaps from producing Ireland's ugliest Taoiseach, Brian Cowen. The county also has a disproportionate number of bogs, which cover something like 20% of its total area. 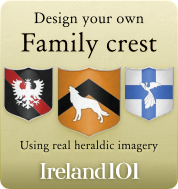 Among them are the Bog of Allen, Blackwater Bog, Clara Bog and Boora Bog. 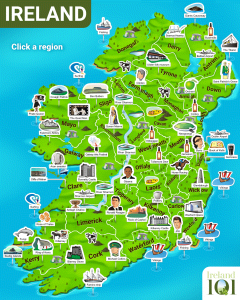 Co. Offaly has two main tourist attractions. 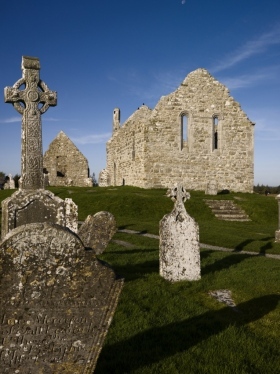 The first, Clonmacnoise National Monument, is a monastic site founded in the 6th century by St. Ciarán and now home to relics and a wonderful museum full of high Celtic crosses. The other is the Demesne Castle in Birr, a 17th century fortress that sits on a lovely sculpted garden and houses a historic science centre that traces some of the great and otherwise oddball contributions to Irish science, the pinnacle of which is the Great Telescope, a rather unsettling looking contraption that was once the largest telescope in the world. 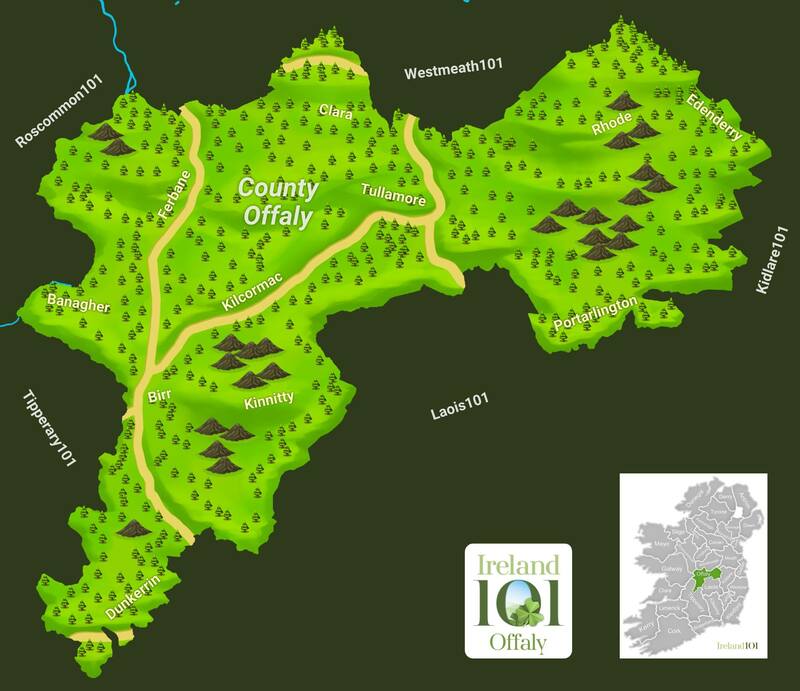 Much of Co. Offaly's natural beauty is settled into the Slieve Bloom Mountains, which cross the southeast section of the county along its border with Tipperary. 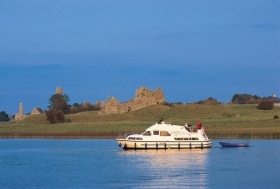 This area is rife with hillwalking, fishing and birding opportunities, while the River Shannon flows down the west side of Offaly, offering boating and angling opportunities. 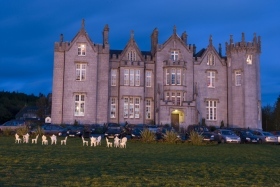 Beyond the town of Birr, Offaly's largest city is Tullamore, also its county seat. The town gives its name to a rather low-end Irish whiskey: Tullamore Dew, which was an early pot whiskey commemorated in the Tullamore Dew Heritage Centre here (the distillery was sold and moved to Midleton in Cork in the 60's). 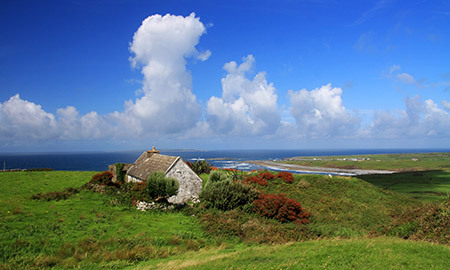 Irish Mist, a whiskey-honey-spice liqueur, was also produced here. An Early Christian site founded by St. Ciarán in the mid-6th century on the eastern bank of the River Shannon. The site includes the ruins of a cathedral, seven churches, two round towers. Clonmacnoise is an Early Christian site founded by St. Ciarán in the mid-6th century on the eastern bank of the River Shannon. 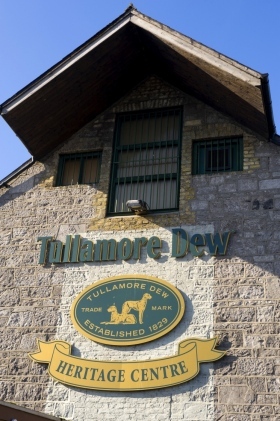 Tullamore Dew Heritage Centre, housed in the 1897 Bonded Warehouse, relates the story of Tullamore Dew Whiskey and the Irish Mist Liqueur and the development of the town of Tullamore. 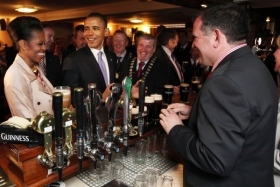 US President Barak Obama's 8th cousin removed, in Moneygall, Co. Offaly, Ireland where he enjoyed the attention of the crowd! 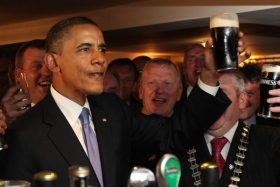 US president Barak Obama in Hayes bar in his ancestral home of Moneygall, Co. Offaly, Ireland where he enjoyed a pint of Guinness. 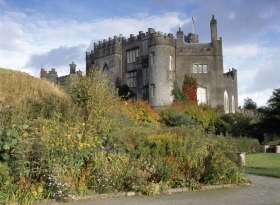 Birr Castle is a large castle in the town of Birr. Its grounds and gardens are publicly accessible. 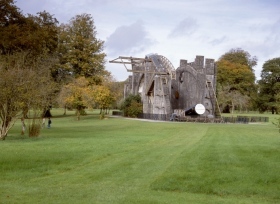 A main feature on the grounds of Birr Castle is the Great Telescope, an astronomical telescope which is open to the public. 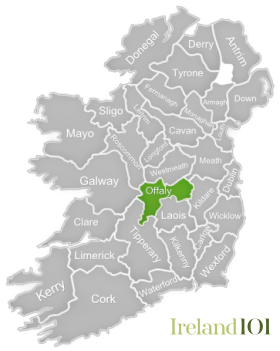 How much do you know about Offaly ?